Best wishes for the new academic term to those of you who are starting a new academic year and to those who are now mid-year. The Talloires Network Steering Committee held a productive in-person meeting in Washington, DC, July 8-10. Later this month I will be sending all Network members a summary report on our deliberations, which focused on strategic planning. Please watch for this communication, and give us your feedback and also your suggestions about future TN activities. To preview one item … The Steering Committee recommends changing TN membership criteria and expectations so that: 1. Membership represents institutional achievement of a significant standard with respect to civic engagement and social responsibility, and 2. The membership process regularly generates information about the work of member institutions. We look forward to working with members and regional network directors to develop potential new membership policies. This issue announces our new Youth Economic Participation Initiative funded by The MasterCard Foundation (see article below). I invite and encourage you to participate in this important effort to elevate how universities in developing countries prepare students to create jobs and to compete for jobs. The YEPI is an exciting opportunity to strengthen the economic development impacts of university community engagement programs. I am pleased also that it will provide direct financial support to several members. We will be making 6-8 demonstration grants to TN members and are now in the process of developing the Request for Proposals. YEPI also will be organizing a global learning community on this topic. Many thanks to the 16 leaders of TN civic engagement programs from 12 countries who convened July 23-25 to exchange about “Innovations in Democratic Engagement: Universities and their Civic Mission around the World.” We were very pleased to co-sponsor this session with the Kettering Foundation and I would like to say how much we appreciate Kettering funding the meeting. See Lorlene Hoyt’s article below. Recommended reading: Lorraine McIlrath, Ann Lyon, and Ronaldo Munck (eds. ), Higher Education and Civic Engagement: Comparative Perspectives. Palgrave Macmillan, June 2012. Congratulations to the co-authors for this impressive contribution to collective knowledge about the global movement! More than 500 participants from 11 countries attended the 15th International Service-learning Conference, organized at Buenos Aires University by CLAYSS (Latin American Center for Service-learning), with the support of the Federal Ministry of Education and OEI (Ibero-American Organization for Education). During the opening, Dr. Ruben Hallu, Rector of Buenos Aires University, presented the new service-learning graduation requirement to begin in 2013. Jaime Perczyk, National Secretary of Education, underlined the importance of service-learning and civic engagement for a quality, inclusive education for all. Argentina has been supporting national service-learning policies since 1997, and 15 years later a third of all schools and Higher Education institutions in the country have participated at the “Presidential Awards” for service-learning with at least one project. “Measuring and Monitoring for Engagement.” Engagement Academy for University Leaders. Roanoke, Virginia (USA), 12-14 September 2011. 13th Annual National Outreach Scholarship Conference. University of Alabama (USA). 30 September – 3 October 2012. 9th International Workshop on Higher Education Reform. 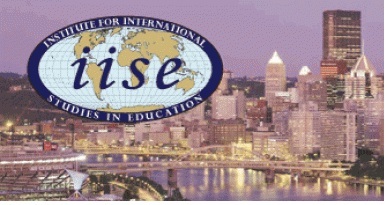 “Reforming the Policy and Practice of Community Engagement of Higher Education.” University of Pittsburg (USA). 10-12 October 2012.